Jimmy Fallon’s giving his epic Lip Sync battles their own show. Fallon’s joining forces with John Krasinski and Stephen Merchant to executive produce the show which will air on US network Spike TV – all three are expected to appear on the show at some point. If you’ve never seen one of the battles they’re pretty awesome, the best are the one Fallon did with Emma Stone or with The Voice mentors Gwen Stefani and Blake Shelton. Michael Buble appeared on Barbra Streisand’s recent album Partners and now she’s repaying the favour by performing on his annual Christmas TV show. The one hour special, Michael Buble’s Christmas in New York, will also feature Ariana Grande, Miss Piggy and the famous Rockettes. The show airs in the US on NBC on December 17. I hope one of the UK broadcasters will show it too. 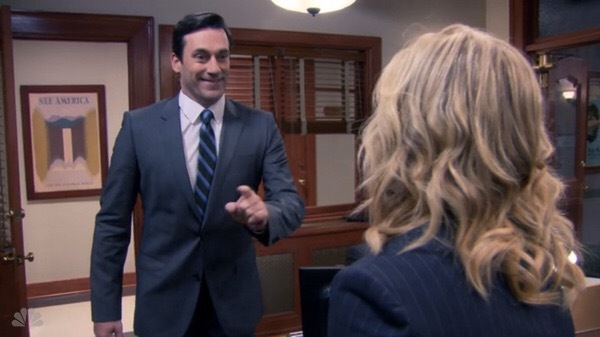 Jon Hamm is returning to Pawnee. 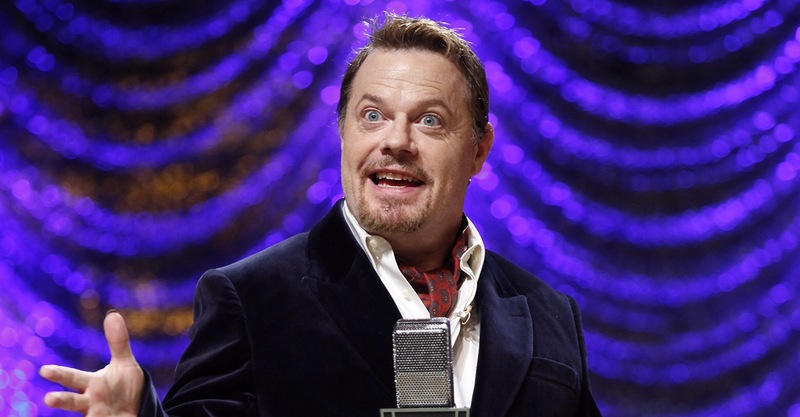 His character Ed appeared in the last episode of Parks and Recreation’s sixth series when he was fired by Leslie. He’ll be among a host of stars appearing in the final series including Rob Lowe, Rashida Jones and Megan Mullally. 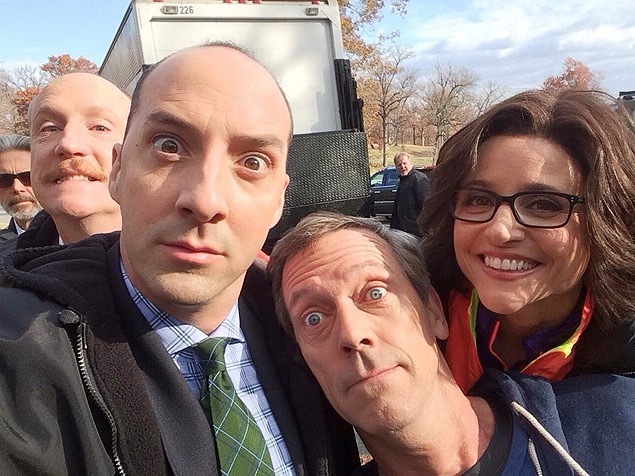 Meanwhile, Hugh Laurie is currently filming a special appearance on Veep. We don’t know anything about his role yet but pictures of him with Julia Louis Dreyfus and the rest of the cast have started popping up on Twitter. The writer of The Queen and The Audience is creating a new drama series about the British monarchy for Netflix. The Crown is being written by Peter Morgan and each series of the drama will look at the political rivalries and personal intrigues across a decade of Queen Elizabeth II’s reign, beginning with the young princess who is faced with leading the royal family as well as trying to develop a relationship with Winston Churchill. The series should be available from 2016. Does anyone think Call The Midwife’s Jessica Raine might be a good choice for the young queen? 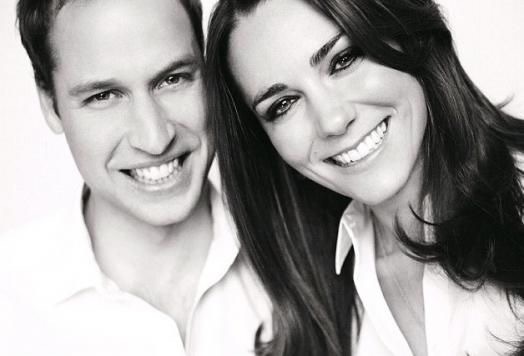 Meanwhile William and Katherine will be traveling to New York in December. The three day visit to the Big Apple will include a gala dinner benefiting their former university, St Andrews, a visit the 9/11 memorial and a stop-off at a basketball game in Brooklyn in support of an ongoing collaboration between their Royal Foundation, United for Wildlife and the NBA. Sadly Prince George won’t be joining his parents on the trip which takes place December 7-9. Bradley Whitford has joined the cast of new TV drama Happyish. The Showtime series was originally due to star Philip Seymour Hoffman but has been recast with Steve Coogan in the lead role. Whitford has joined the cast as Coogan’s boss who is described as an “advertising industry legend whose success is due in equal parts to his creative genius and moral cravenness”. So a lot different from Josh in The West Wing then. 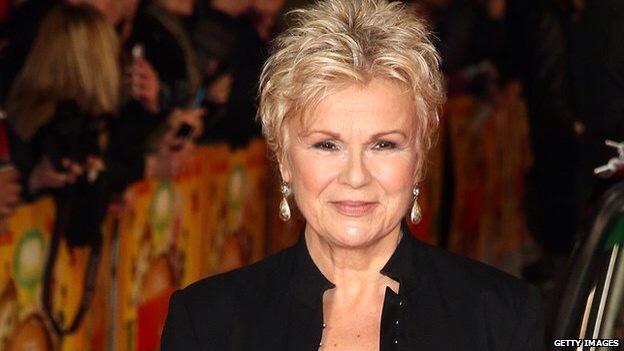 National treasure Julie Walters will be the debut subject of the TV strand of BAFTA’s A Life In Pictures. 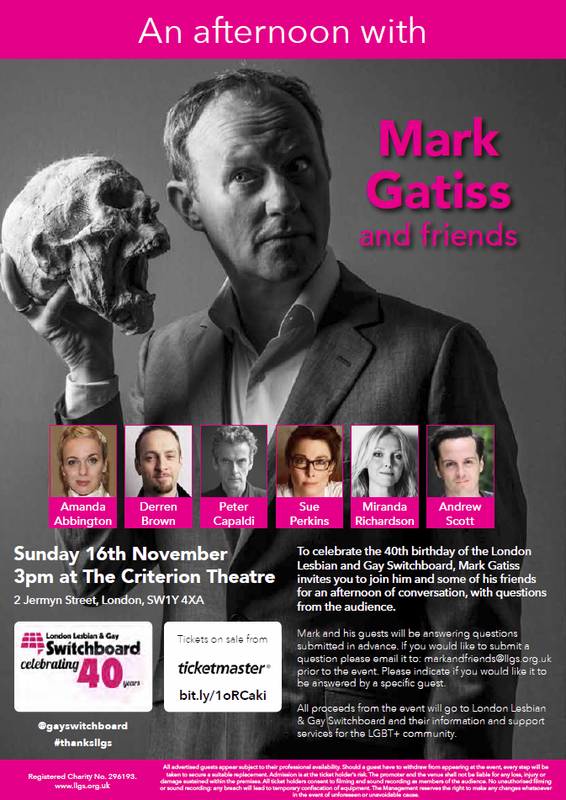 She’ll be discussing her career at BAFTA’s HQ in Piccadilly on December 3. Back in 2000 when she won Best Supporting Actress for her role in Billy Elliot I got to interview her backstage at the awards. 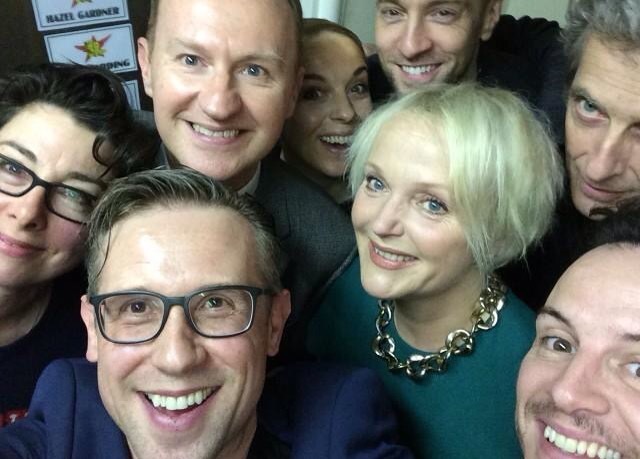 Earlier that weekend she’d also won an Olivier Award so I asked her what she was going to do on the Monday morning. “I’ve got a pile of washing to do” she told me. 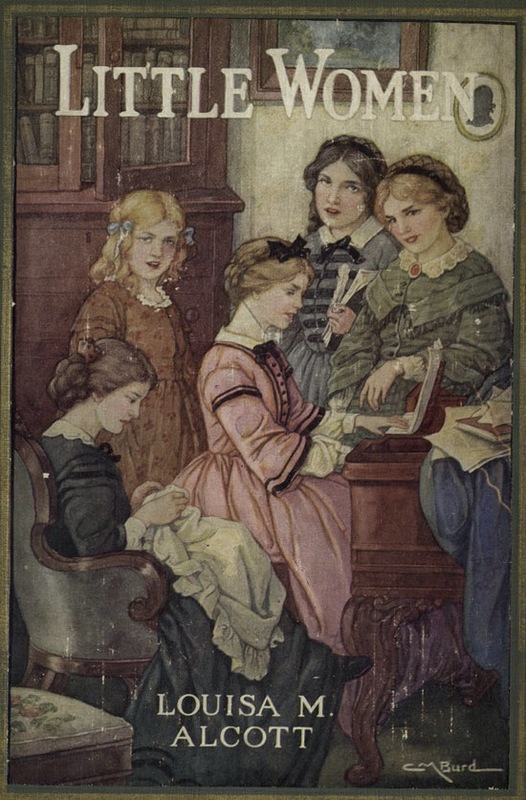 Still one of my favourite stories.